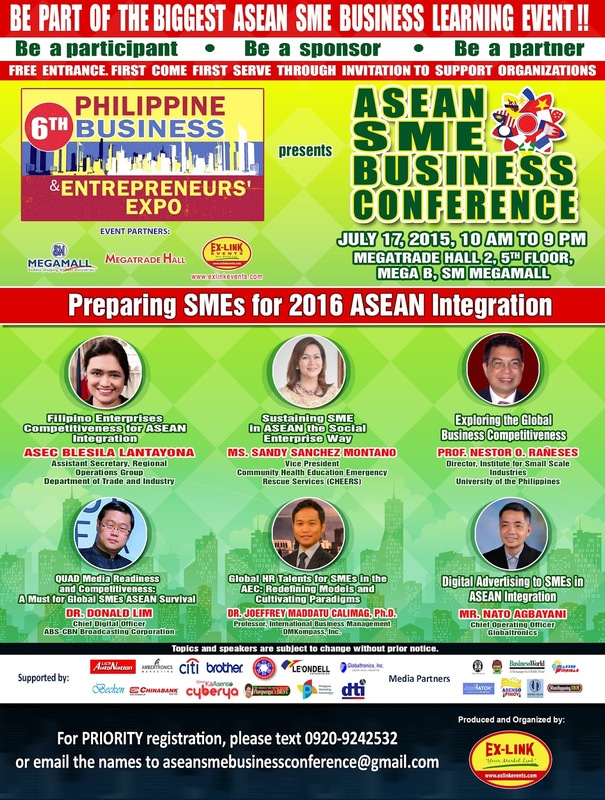 The ASEAN SME Business Conference set this July 17, 2015 at Megatrade Hall, SM Megamall is expected to gather 200 delegates. · Digital Advertising to SMEs in ASEAN Integration by Nato Agbayani, Chief Operating Officer, Globaltronics. SMEs will definitely benefit from the knowledge and information that the experts will share in this conference. Competition and collaboration with ASEAN neighbors is getting intense, only companies that have sufficient knowledge and understanding with this new economic alignment are capable of winning and growing.